Who are the MPs resigning? We profile the ex-Labour and Conservative MPs who've quit their parties to join the Independent Group or to sit on their own. That's where we're leaving our coverage of the Commons. 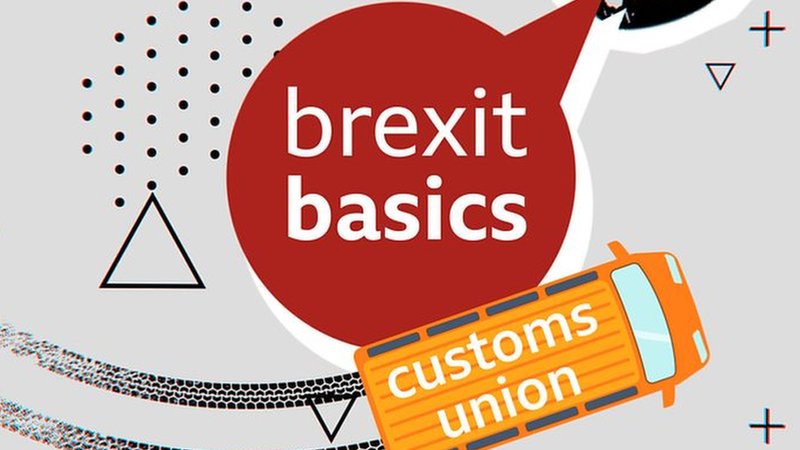 The Commons returns at 9:30am tomorrow for environment questions, and later in the day they'll be holding a debate on potential future free trade agreements. Former Labour MP Ivan Lewis says the "current Labour leadership have always believed that the creation of Israel was a catastrophe". He says this is in contravention of their belief that all minorities around the world have the right to self-determination. He says the only time the Labour leadership does not believe a minority group should have self-determination is on Israel. He asks how Labour can "tackle the cancer of anti-Semitism" with the current leadership in charge. "If all of this has happened in the party, imagine what would happen in the country, if the right honourable gentleman ever became prime minister", he asks. Luciana Berger, who now sits as part of the Independent Group after quitting the Labour Party on Monday, says she has been subjected to "thousands of messages of anti-Semitic abuse and hate". She says she has seen "obfuscation, smears, inaction and denial" from the Labour Party on tackling the problem. She says she has arrived at the "sickening conclusion" that the Labour Party is "institutionally antisemitic, in its processes, its attitudes and behaviour". She says Labour members are seeing a "reminder of the rules" as a punishment, rather than true sanctions. "This is a shameful record," she says, from a party seeking "the highest office in the land". Conservative Andrew Percy says he shares the "growing concern and alarm" at the "rise of anti-Semitism in our own country". The statistics on anti-Semitism should "shame all of us", he says. "There is a growing movement on the far-right" who hold the "most anti-Semitic views in our society", he tells MPs. "UKIP have now become a far-right party" which is embracing a "fascist agenda", he adds. Labour's Margaret Hodge says that it "beggars belief" that on the day Luciana Berger left the Labour Party, Derek Hatton was readmitted. She calls him "bigoted". "I never ever thought my Jewish identity would be central to my political work," she states, describing herself as "secular". "Stamping out anti-Semitism matters, we must never shirk our responsibility," she adds. "Figures have reached an all-time high" in anti-Semitic abuse, she says. "Legitimate criticism of foreign government should never morph into racist abuse against all Jews." Conservative Theresa Villiers says that she feels she has to "speak out about the current situation". She says a "considerable number" of Jewish families in her constituency are considering leaving the UK if Labour were to win a general election. "Much more effective action is needed" by the leadership of the Labour Party, she states. She says that Mr Corbyn has shared platforms with anti-Semites. She states that while these are "past episodes", the current response to anti-Semitism in the Labour Party "continues to be inadequate". "Enough is enough," she finishes. How often has anti-Semitism been used in Parliament? The SNP's Stewart M McDonald says that Scotland is one of the few countries which has never had an anti-Semitic law on the statute book. He says he is pleased that the Scottish government has accepted the full International Holocaust Remembrance Alliance definition of anti-Semitism. He says that this does not mean everything is "rosy north of the border". He states that on an article about anti-Semitism in Scotland recently, reported by The Herald, the comments below the article were "full of conspiracy theories". Theresa May challenges Jeremy Corbyn over his attitude to a "once proud Labour Party". Continuing, Barry Gardiner also says that Luciana Berger, one of the eight Labour MPs who quit the party this week, has suffered "disgraceful treatment". "I regret deeply that she has left our party, I regret most of all the anti-Semitic abuse which made her feel it was necessary to do so," he adds. He describes her as a "kind and loving person" who has been "bullied by anti-Semites to a point that most of us would not have had the strength to bear". "I wish she'd stayed, and helped us defeat the evil in our party," he says, but adds that whichever party she represents, she should have the "unqualified solidarity" of MPs. Labour MP Neil Coyle asks Barry Gardiner asks what "message it sends to the Jewish community" to re-admit the former Liverpool City Council leader Derek Hatton. Derek Hatton, he says, has posted tweets which "seemed to imply that every Jew [...] is responsible for the actions of the Israeli government". In reply, Barry Gardiner says he has seen the tweets and has written to Labour's general secretary and lodged a formal complaint about them. "I understand that action has since been taken," he adds. For the news of his readmission to emerge on the day that seven MPs resigned from the party, he says, was "appalling". Shadow international trade secretary Barry Gardiner says the Labour Party has put fighting racism and prejudice "at the core of who we are". But he asks: "How can it be that we are struggling so badly to eradicate anti-Semitism from our own membership?" The Labour Party, he says, has not had "adequate procedures in place" to act swiftly against "that small minority of members" who have sometimes expressed anti-Semitic views. "I want on behalf of my party to publicly apologise to the Jewish community, that we have let you down," he says. "We will not stop working until we once again become a safe and welcoming home for people from the Jewish community, as from every other," he adds. Foreign Secretary Jeremy Hunt has said he is sad that three "incredibly talented" MPs have quit the party and expressed his hope that they will be "welcomed back" one day. Speaking during a visit to Berlin, Mr Hunt said the way to persuade them to return was by showing that the Brexit that would be delivered "in accordance with [the] referendum result is not the Brexit of their worst fears". To that end, it is was vital the UK maintained an an "open and outward" relationship with Europe after leaving the EU and not "pulling up the drawbridge" or resorting to a "Little England" mentality. 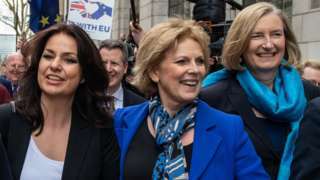 Heidi Allen, Anna Soubry and Sarah Wollaston claim "hard-line anti-EU" MPs now run the Conservatives. In the Commons, this afternoon’s debates on various statutory instruments to prepare the UK for Brexit have now come to an end. Next this afternoon, there will be a debate on anti-Semitism in modern society. Of course, it comes after Joan Ryan became the eighth MP to quit the Labour Party yesterday, citing its tolerance of a "culture of anti-Jewish racism". Tory MP Nicky Morgan says that the Conservative party is "at its best" when it is a "broad church". The membership is "extremely broad", she adds. "The best way to avoid no deal is to have an agreement put in place," she states. She says she was "very sad" when these "three friends and colleagues" announced that they were leaving the party this morning. "If the Conservative Party doesn't feel like home for them then that is very unfortunate," but she says she respects the decision they have made. The House of Lords EU Committee will soon be taking evidence on the Brexit talks from Sir Ivan Rogers, the UK’s former ambassador to the EU. Sir Ivan is a veteran civil servant whose previous roles include private secretary to ex-chancellor Ken Clarke, principal private secretary to ex-PM Tony Blair and Mr Cameron's Europe adviser. You can watch the session using the live stream at the top of this page. Lib Dem leader Sir Vince Cable suggests his party may not put up candidates against members of the Independent Group at future elections. 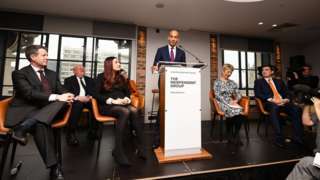 "It would be foolish for my party and this Independent Group to fight with each other," he tells the BBC, hinting at future co-operation in contesting seats. "I have a completely open, positive approach to working with the Independent Group," he says, praising the "courage" of those MPs joining it. "The Conservatives have now been taken over by militants" and the "polarisation" has happened "at the grassroots" of the party," he adds.